Kim, one of our readers, sent over the trailer for the documentary Good Virus, Kindness is Contagious that we thought was fitting for Random Acts of Kindness Week. Watch the trailer after the jump. to inspire people to spread that kindness (THE VIRUS). Good Virus is all about the small things, tiny acts of kindness that don’t cost a lot of money or oblige praise. 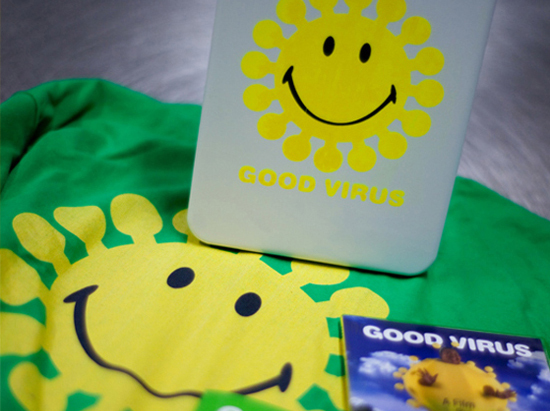 Check out Good Virus and learn how a little generosity can help you live a happier, healthier, wealthier, longer and more fulfilling life. What is the nicest thing anyone has ever done for you? Did you “pass it on“? Thank you Kim for sending us the Good Virus trailer! This documentary is a gem! We recommend everyone to see this feel-good film!